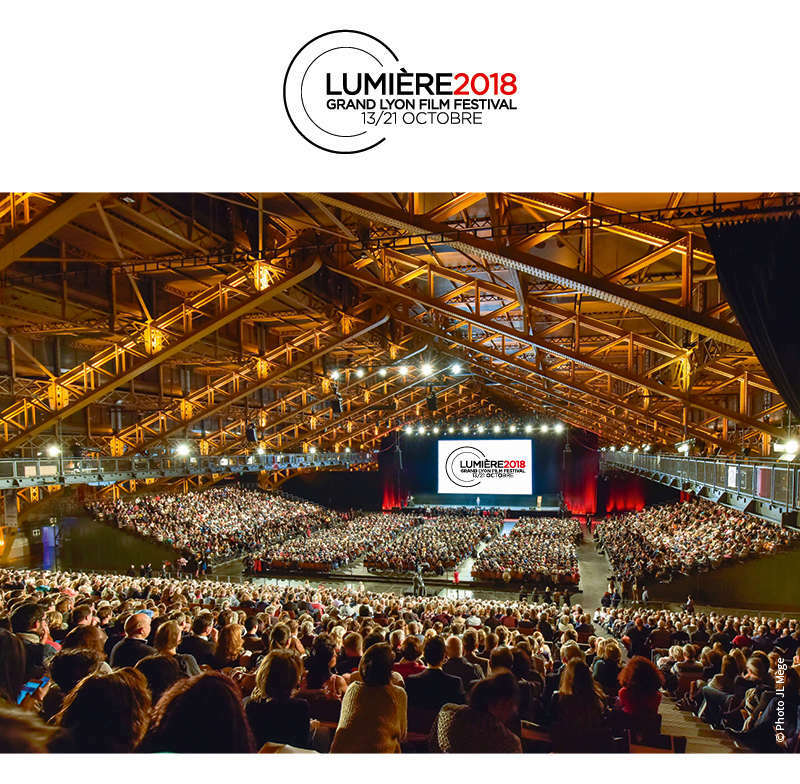 The 10th edition of the Lumière festival will be held from Saturday 13 to Sunday 21 October in Lyon. Last year, 171,000 festivalgoers attended 396 screenings in 60 venues in the Lyon Metropolis. Created in 2009 by the Institut Lumière, the festival has become one of the largest international festivals of classic cinema. Once a year in Lyon, the birthplace of the Cinematograph, the cinema world celebrates the vitality and memory of film, taking a contemporary journey through works of the past (restored films, retrospectives, tributes...). Thanks to all the participating theaters, the festival shines across Lyon and its surrounding area, reaching a wide audience. 396 screenings, 177 films, in 24 municipalities of the metropolis of Lyon. Screenings introduced by actors, filmmakers, historians, film critics, and by our "Lumière Ambassadors." Chinese filmmaker Wong Kar-wai has received the last Lumière Award, following in the footsteps of Catherine Deneuve, Martin Scorsese, Pedro Almodóvar, Quentin Tarantino, Ken Loach, Gérard Depardieu, Milos Forman and Clint Eastwood. Retrospectives dedicated to great filmmakers who have made or are still making cinema history, of all genres and all eras. Invitations to actresses and actors, filmmakers, film music composers. See films in the best conditions. Huge film screenings at the Halle Tony Garnier, the Auditorium of Lyon and the Conference Center. A discovery of silent cinema with cinema concerts. Master classes and the opportunity of special encounters thanks to the festival guests. Exhibitions and the cinema and photography fair. the Village festival in the Institut Lumière Park, the barge La Plateforme at night... and a mâchon at a restaurant in Lyon! the International Classic Film Market. the Metropolis of Lyon, the Auvergne Rhône-Alpes Region and the CNC, and is supported by the City of Lyon and the Ministry of Culture and Communication. It also receives support from private partners, who are both loyal and receptive to the endeavors the of Lumière festival; we particularly thank our official partners: BNP Paribas, Dessange, EDF, Casino Le Pharaon, OCS, Groupe Adequat et Chopard.